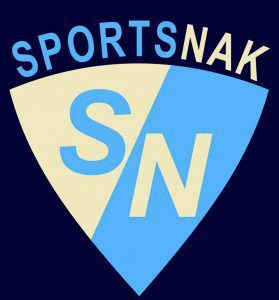 In this edition of “Brother Banter”, the brothers behind SportsNak give us their MLB Divisional Preview, starting with their opinion’s on the AL. Keep your eyes out for the NL edition coming soon! Rossy: Hey Adam, have you noticed it’s getting warmer out? Adam: It’s still pretty cold, I mean, we’re in Canada. Adam: …MLB The Show Release Day?!?! Rossy: No. Well, yes, that too – I’ve played it already and it’s great. But no – that wasn’t what I meant. The answer I was looking for was: opening day! In less than a week, the MLB season will be underway, and with that, we have much to discuss. Where should we start, Adam? Adam: …I was getting there. I’ll just get to my question for you: do you think the success of last years starting rotation was a fluke? Or will Sanchez have continued success? Will Liriano be able to have a consistent first full year as a starter for the Jays? Will Stroman be able to lower his ERA? Will Happ get anywhere near 20 wins ever again in his career? Adam: …The Protectors of the 6ix! Rossy: …New tagline? Haha. I wasn’t quite finished yet, though. I think the starters will get it done, but it wont come easy. They will have a tough time with the division this summer. Even with how well they played last season, the Jays couldn’t win the AL East. The offences in the division are, frankly, just ridiculous. Boston has an embarrassment of riches, literally all over the field; Baltimore has Baseball’s Lineup of Death; the Yankees have an exciting young core headlined by Aaron Judge and Gary Sanchez; and even the Rays pose a threat. And so to answer your question, I don’t know if they will be better, but they should be at least just as good. Adam: Our division is just insane this year, I’ll agree on that completely. Nothing is going to come easy this year for the Jays, and it doesn’t seem all that likely that they will win the division. In my eyes, it’s another Wild Card entry for the Jays into the postseason this year. I think they’re different, but still good enough. Morales is a heck of a hitter, and although he can’t really run, he somehow still gets the job done year after year (in the postseason, too). Pearce, if healthy, should turn out to be a steal, and if Joe Smith and J.P Howell can regain their form from a few seasons ago- then the Jays are going to be much better then people think. Bautista has a lot to prove this year as well, and he could come up huge this summer. But you’re right, we can’t forget about the Sox and Yanks- they are just oozing with talent and depth, at every position. It’s not fair, really. Rossy, how do you think the division will play out? Rossy: I have Boston on top as well. They just seem unstoppable – like the Cubs East. Actually, I have the whole division standings the same as you. I think the Jays and Yankees win the two Wild-Card positions as well, as long as the Yankees rotation performs. Adam: Woah. Don’t tell mom we finally agreed on something. Rossy: Don’t worry, I wont. Now, on to the Central. Adam: Ok, so who do you like here? Rossy: Well, I’m not so sure I like them, but the Indians have to be the the pick here. Adam: Yeah, basically the same team as last year, adding Edwin Encarnacion was huge. They have to be the favourites. Rossy: I think the Royals take another step back this season also. They keep on getting older, tragically lost their ace Yordano Ventura, and the magic has to run out sometime – if it hasn’t already. The White Sox are in tank-mode, having just traded Chris Sale… but they weren’t even good with him anyways. The Tigers could be a threat – any team with Miggy would be. They have pitching, with Michael Fulmer, and Verlander headlining the rotation. They can hit as well, with Kinsler, Miggy, Victor Martinez, and J.D. Martinez. The bullpen and depth real issues for the Tigers though, and through a 162 game season, those two issues can be deadly. A team I really like is the Minnesota Twins. While they were a dismal 59-103 last season, things are looking up in the Twin Cities. Byron Buxton has been one of the most talked about prospects for years now, but finally looks ready to make the jump. Even with Buxton hopefully joining the likes of Brian Dozier, Max Kepler and Miguel Sano in the Twins’ core, the team just doesn’t have the pitching to compete this year. Anything different with you, or is this gonna be an ‘easy division’ (until of course the Royals win 100 games because I said they were done)? Adam: Buxton has this year to prove to me that he is as good as everyone says, or he’s a bust in my eyes. It’s been four years now of “this guy is the future”. I know he had a concussion a couple of years ago, that really set him back, but I mean how long is too long to be considered a prospect? Regardless, I do like the Twins – just not to win the division (I think thats obvious). The Indians and Tigers, as you said, are clearly the only two teams that will compete this year. I think the Royals could have a decent year, but I don’t think its going to result in a playoff appearance. What really interests me about this division though, is how it will look like in 5 years. The White Sox made a bunch of smart moves, essentially acquiring their future. The Twins have Nick Gordon (younger, potentially better, brother of Miami star Dee Gordon), Buxton and Sano (among others), so we could see a shift in power in the Central. To wrap it all up: I agree with you, this is the Indians division to lose. Rossy: Ok then, on to the AL West. Adam: Are we almost done? Rossy: Yeah, last one. 3 division’s in each league, and we’re doing one league at a time. Adam: I know how many divisions there are. Just get to the preview. Rossy: Okay, who do you like in this one? Adam: To me, this division is the Battle of Texas. It’s going to come down to the Rangers or the Astros – I still don’t think the Mariners make it. Going into the season, I think I’d pick Houston over Texas, but that could all change later on in the summer. On paper, the Astros could be one of the best teams in the entire league. Carlos Correa, George Springer, Brian McCann, Alex Bregman, Josh Reddick, Yuleski Gurriel, Evan Gattis and Carlos Beltran are all productive major league players, to say the least. I just don’t think anyone in the division will be able to top their offensive production. Their only weakness may be their rotation. Unless ex-Cy Young Award winner Dallas Keuchel can regain his 2015 form, they may run into some issues there and need to acquire another starter later in the season. Regardless, they are the team to beat in the West. Rossy: I love how you brought up the Mariners. Every year it seems like they are on the brink of finally making the playoffs, and then they always fall short. It’s kinda like the Leafs, pre-Matthews. I think, much like the Leafs, this could be the year they finally make the leap. They brought in Danny Valencia and Jean Segura, making an already scary lineup even more fearsome. With Cano, Valencia, Segura, Nelson Cruz, and (the wrong) Seager, as well as Jarrod Dyson getting a chance to be an everyday leadoff man, the Mariners will score. It’ll come down to the health of their pitching this year. King Felix is always good, Hisashi Iwakuma is a pretty good #2 guy, and they have depth with Gallardo, Smyly and Paxton. The only issue is that all of those pitchers are prone to injury. I think the Mariners take until the final day to win the division, but they just edge out the Astros. I think the Rangers are on the downswing following too many years to count of competitiveness. The Angels are a minor darkhorse in this division just because they have Trout, but he’s basically all they have. The A’s on the other hand, who knows what Billy Beane is up to now. Rossy: …And we couldn’t be more excited! What did you think of Adam and Rossy’s predictions? Anything you think they have wrong? let them know in the comments section below!